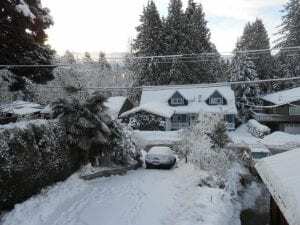 Looking to enjoy the fresh powder snow on the mountains, come for a visit to our Bed and breakfast home, we are located near Grouse Mountain, Cypress Mountain, and Seymour Mountain. 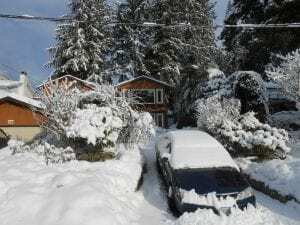 These are some photos of our recent snowfall. Our accommodation comes with a full warm breakfast catered to your dietary needs , to keep you going while you ski downhill, do cross-country or snowshoe . Nightlife is also available down in the city after a hard day on the slopes. The air is fresh and clean, and the sunshine, causes the trees to glimmer. Looking for a magical winter escape in the snow..
We look forward in welcoming you in our home.